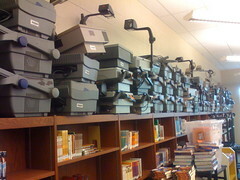 The Telegraph report that millions of pounds worth of unused technology is left lying around in classrooms across the UK because teachers and schools are convinced to buy new gadgets without fully assessing their benefits first.The article also notes that many technology purchases simply replace existing materials without making improvements, such as tablet computers which simply become “a different way to make notes”. This clearly has a lot of relevance to ITGS: education is one of the six scenarios students must study, and the Higher Level topic IT Systems in Organisations deals with all aspects of companies procuring new IT systems. This includes performing a thorough cost/benefit analysis first, and ensuring users are adequately trained. You can read the full article. 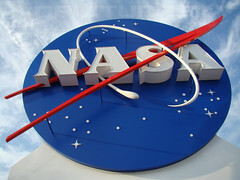 NASA – who undoubtedly should know better – has banned its employees from taking NASA laptops off site until they have all been encrypted. The move comes after an employee had a laptop stolen from his vehicle in Washington DC. The hard drive, which contained the personal information of 10,000 individuals, was not encrypted.The security of sensitive data in databases and on mobile devices is something all ITGS students should know about. Passwords are a useful first line of defence, but encryption is the only real method of ensuring data is safe if it gets into the hands of authorised users. The fact that an organisation as large as NASA did not routinely encrypt their data highlights a definite need for improved policies and procedures. Read the full article. A UK project called Astraea is starting to test unmanned aircraft for civilian use. 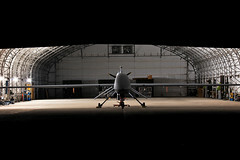 Drones such as the Predator and Reaper are infamous for their use over the battlefields of Afghanistan and Iraq, where they have provided reconnaissance and strike capabilities but have also been implicated in civilian deaths. Now the UK’s Civil Aviation Authority is working with the project to investigate how they might be used for civilian purposes. Possible applications for civilian drones include monitoring crops and livestock, monitoring transport infrastructure, and even monitoring vineyards. The project is currently investigating the numerous issues related to drones – not least, safety. They plan to conduct collision avoidance tests later in November. Unmanned aircraft and unmanned vehicles such as Google’s autonomous car have been in the news quite a lot recently, and fall squarely into the ITGS topic Robotics, Artificial Intelligence, and Expert Systems. This is one topic where technology is changing particularly rapidly and in which up to date knowledge is essential for students. Read the full article. You can find sources for ITGS news articles here, and other roundups of articles here, here, here, here, here, here, and here. 3 ITGS news articles from Australia California governor signs free digital textbook law Five ITGS news articles from Australia Could the ‘cloud’ ever crash?